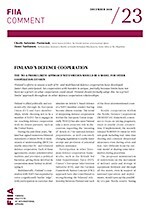 Finland’s efforts to weave a web of bi- and multilateral defence cooperation have developed faster than anticipated. Yet cooperation with Sweden is unique, partially because limits have not been set a priori on what cooperation could entail. 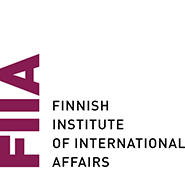 Finland should formally adopt this ‘no a priori limits’ approach throughout its other defence cooperation relationships.